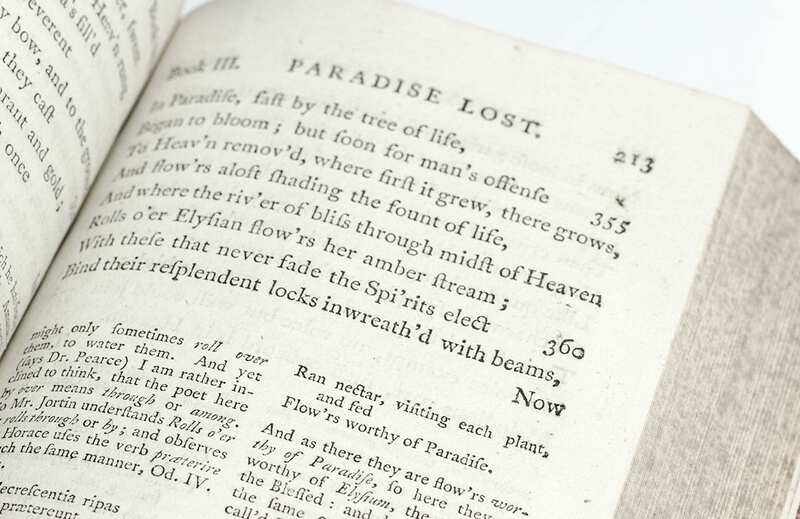 Paradise Lost: A Poem in Twelve Books and Paradise Regain’d. 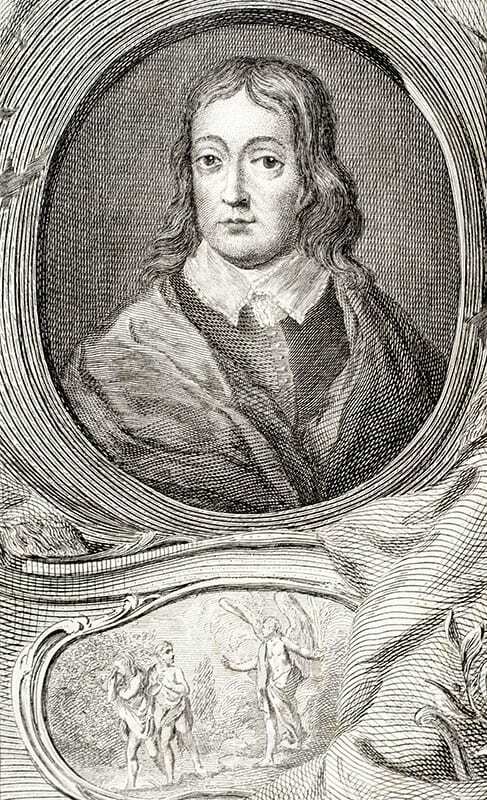 To which is added Samson Agonistes: And Poems upon Several Occasions. 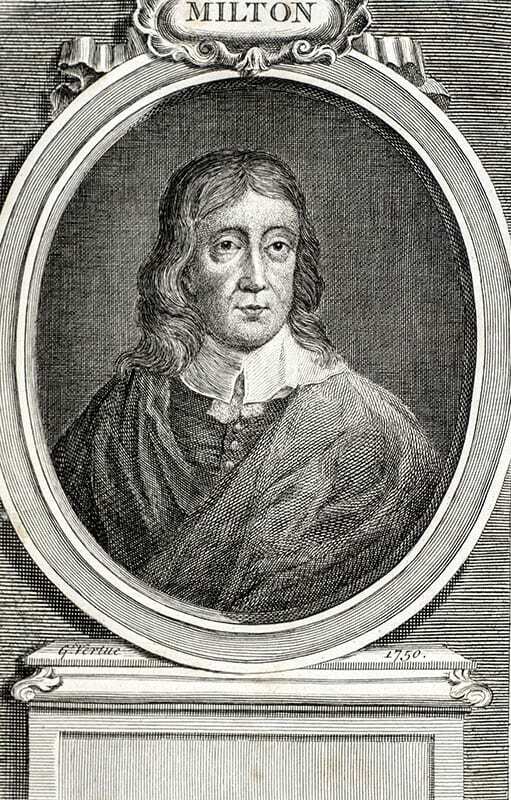 Milton, John with Notes by Thomas Newton. London: Printed for J.F. 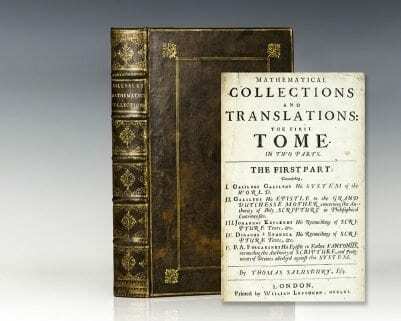 and C. Rivington et al, 1790. 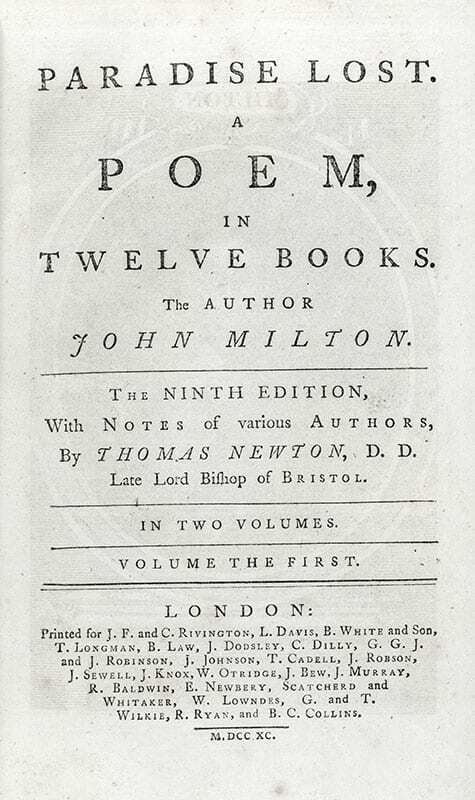 Eighteenth century example of Milton’s masterpiece, Paradise Lost: A Poem in Twelve Books and Paradise Regain’d. 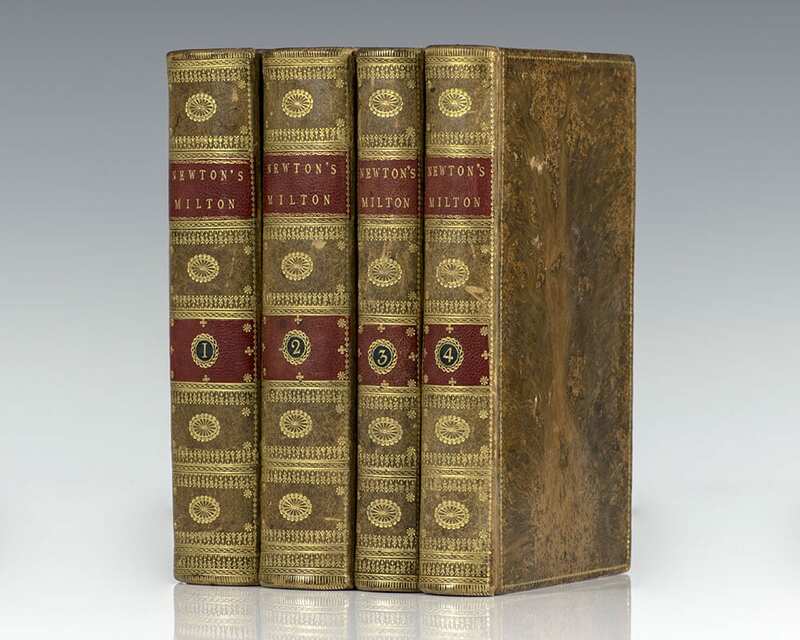 Octavo, 4 volumes bound in full contemporary tree calf, gilt titles and tooling to the spine red morocco spine labels, gilt ruled, marbled endpapers, ribbons bound in, all edges speckled brown, engraved frontispiece to two volumes. 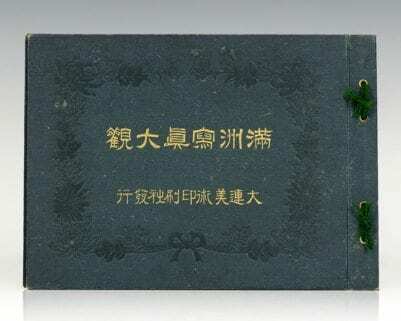 In near fine condition. A desirable example.